Physicals therapist find stress balls to be an easy to use and convenient therapy tool for patients with hand, wrist or finger rehabilitation requirement. You may be aware of the fact that stress is bad for your health, however bringing down your feelings of stress is not a simple task. If you are living a stressful life, it may not be workable for you to get rid of the factors that are worrying you, and you might not have the time for activities like yoga and exercises. Is work worrying you? Or, on the other hand, do you spend of lot of time in front of your computer? A stress ball can enable you to soothe muscle tension, relieve stress, enhance blood flow, and prevent serious health diseases and so on. For a handy solution for stress, purchase a stress ball that is be economical and easily accessible. It is a fast and compelling therapy that you can use at home or bring with you to the workplace or even when you go for a walk or travel. A stress ball is a sphere-shaped soft ball that you can easily squeeze in your hand. It has lots of uses and advantages, helping to relieve stress as it controls the fingers and works as a means of exercise. These stress balls are made in different shapes and sizes to suit the person's needs. One can even buy a customized stress ball that is intended to their specific needs. A stress ball can help ease muscle strain through squeezing and releasing. 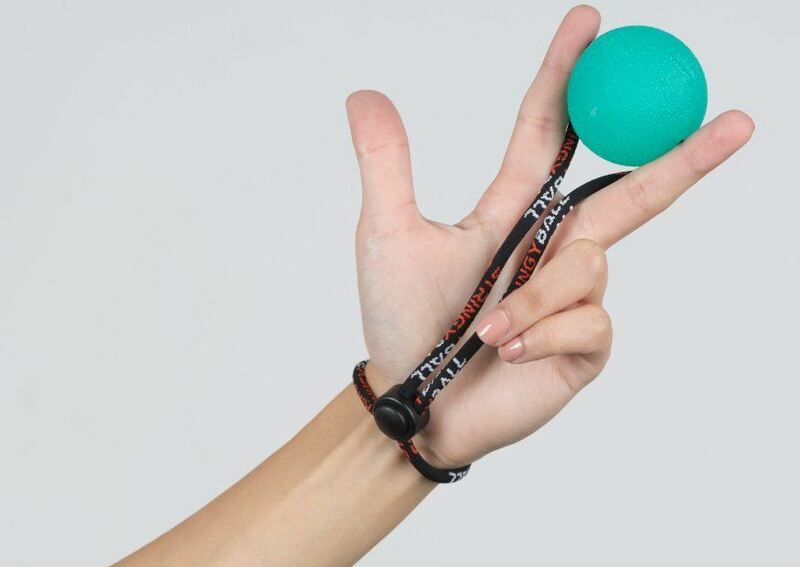 The stress ball is not only the most advantageous approach to rapidly and efficiently alleviate stress, but also serves to incredibly improve mood. Those individuals, who use stress balls frequently, build up a general well-being of the psyche and body; they start to observe lifestyle changes and reduced levels of stress. It can have an advantageous impact at the forefront of your thoughts and body if used correctly, despite the fact that the main exercise you are getting from them is in your hands. Additionally, those individuals who need to type endlessly could also get a pleasant break from striking at a keyboard and, through exercising their hands in a different method. These exercises will create the capacity to prevent musculoskeletal repeated stress injuries. So look for what is out there, see what you like, and allow these stress balls help with these petty concerns for you. When you squeeze the ball, the muscles in your arm and wrist contracts and tighten up. When you release it, these muscles calm down releasing your tensions. Hands have many nerves in them which are linked to your brain. The moment you squeeze the stress ball, the nerves in your hand gets activated. In this way, it stimulates parts of your brain, and the release of endorphins which deal with stress improves mood and combat pain. Playing with a stress ball and clasping it can enable you to take your mind off from whatever is upsetting you, giving your brain a chance to relax for a couple of minutes. Activities like typing on the computer, playing melodic instruments plus using cell phones can bring about hand or wrist injuries over some period. Using a stress ball, you can strengthen the muscles in your wrists and hands, and retain their flexibility for avoiding such injuries. Do Stress Balls Really Work? Stress balls definitely work, and there is evidence to back it up. When you get worried, your mind has two channels. A sensory channel that includes; sight, sound, touch, and smell. The other one is an intellectual channel that tries to comprehend just how we feel and place it into context. At the point when your sensory channel is blocked or occupied, your experiences are not as severe or striking as it seems, the point at which you are physically involved with something (like squeezing the stress ball) your mind is not concentrated or focused around whatever is worrying you. This is the reason some of the best stress reducers involve physical activities. Research has demonstrated that our brains absorb and process a great deal of data that gets through our hands. That is the thing that makes stress balls so compelling. While squeezing a stress ball, your cerebrum needs to utilize many of its resources to process the sensation and movement coming in from your hands. This implies it has fewer resources to allocate to your stress. When using StringyBall, it is best to regard it as a type of meditation. To be exact, you focus on the stress balls with the goal that you are not stressing over anything else. Sense them in your hand and feel the weight. Whether you squeeze them or roll them around in your hands, see how they feel in your palm and your fingers. Focus on placing your worries into your hand, at that point depositing them into the stress balls, just as they are retaining all that stress and eliminating it away. By putting the whole weight of your thoughts into your stress balls, you can rebuff the distressing feelings and concerns by just placing them into an inanimate object that does not see the stress. Then, as soon as you are done, you should feel as if a weight has been lifted and your brain is cleared. How To Use A Stress Ball? Stress balls reduce the risk of injuries by strengthening muscles and building dexterity. Regular and frequent use of stress balls strengthens the muscles of the hands and the wrist which help with avoiding any form of injury to people who are prone to it. If you are a person who enjoys an active lifestyle and sporting activities, you will require these muscles. This is needed to ensure that they are capable of withstanding the stress and pressures related to your activities, such as golf, baseball, etc. However, these muscles can be debilitated or harmed from terrible posture, repetitive actions or pressure on the joints which can lead to agonizing disorders or dysfunction of movements like in carpal tunnel syndrome, tendonitis, tenosynovitis or arthritis of hands/wrist. The contraction in addition to relaxation of the fingers and wrist while pressing the stress ball increases blood circulation to those areas. The squeezing action enhances blood circulation, improves muscle functions, and expels toxins as well as other waste products from the body. Most of the physical therapists use stress balls to enhance muscle tone of fingers, wrists, and hands. Stress ball also at times contains distinctive sorts of medicated gels that are utilized for varied purposes. The different gels provide different resistance and assists in strengthening the muscles. A stress ball can aid in treating joint disorders of hands like in the case of arthritis pain management. It helps to relieve off the pain that emerges from a joint related issue. Consistent use of a stress ball helps treat kids experiencing ADHD. It additionally manages restless and shaking fingers. Stress ball also helps the child to concentrate and consequently helps with enhancing their attention and listening abilities. Stress balls help manage and direct self-stimulatory conduct of autistic kids. Children can figure out how to press the ball and create intellectual abilities. It is also a great option used as a part of occupational therapy. Consistent use additionally causes a child to get rid of tension and irritation. In this day and age, you can develop stress by just driving down the road or by some additional work-related activity. Additionally, if your home life or personal life is disturbed your stress levels can go through the rooftop. Managing such stresses can be troublesome; it can have a severe impact on one’s well-being and becomes a basis of tension in relationships. For some, the prospect of utilizing a high-quality stress ball as offered by StringyBall is an easy option. A tensed body and mind result in poor health. Stress is terrible for you. It can not only affect your mental well-being leading to hopelessness but is also connected with cardiovascular maladies due to high arterial blood pressure. This implies you need to do every possible thing to keep stress under control, despite the fact; this appears like a practically unmanageable task. When you consider your way of life and work-related pressure, you can keep the stress levels and concerns under control by just investing in a quality stress ball. Next time you feel overpowered at work or home, rather than losing your temper or getting into a state of despair, take a moment; take a couple of full breaths and exercise with your StringyBall. Utilize it every day as a stress management tool; you can take it along anywhere with you as it is tethered t your wrist and is available whenever you need it. 1. - Consider stress balls as a type of meditation. 2. - Make sure to thoroughly concentrate while squeezing the stress balls and do not get diverted. 3. - While squeezing the stress balls or moving them in your hands, pay attention to the sensations you get on your hand. 4. - Focus on putting all your anxiety and stresses into your hand and from that point transfer it to the stress ball. Speak to yourself that the stress balls are retaining all the tension and eliminating it away. 5. - As soon as you’re done, make yourself clear of any stress and stay optimistic.